When applied to the action of precise ministries, multiple and often vague usages of the term ‘Europeanization’ sap analytical purchase. 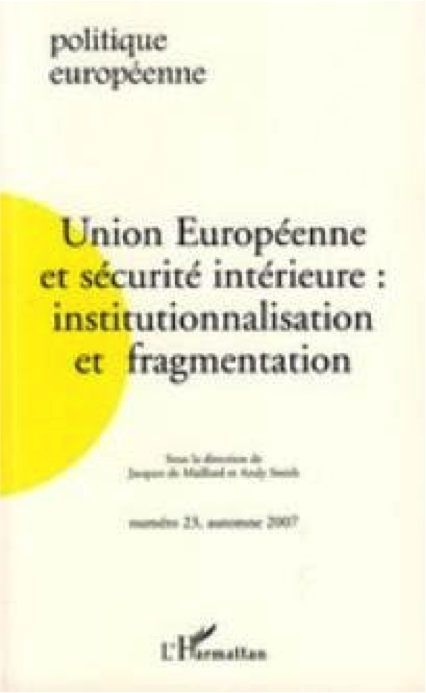 In adapting A. Jordan’s analysis of organizational learning, this article seeks to explain how three French national administrations (the Ministries of the Interior and Justice and the Gendarmerie Nationale) have adapted in order to confront the issues raised by the European Union’s involvement in internal security. We show that if a certain form of Europeanization has occurred because acors have modified their knowledge and know-how, the emergence of transnational allegancies has not transpired. Rather the actors studied find themselves in an imprecise space, oscillating between a desire to reach Community decisions and the preservation of perceived national interests. 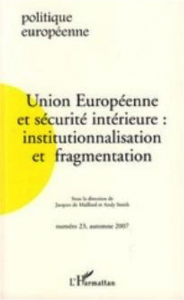 In other words, at least in this case, Europeanization has not caused the adoption of “Brussels-produced” ways of thinking, but a redefinition of the organizational objectives and identities that has taken on board the emergence of Europe as a space of public action in the field of internal security. The customs sector has been neglected by analysis of Europe’s Area of Freedom, Security and Justice. However, customs have constituted one of the many instruments mobilized by national governments and Community bodies in order to build this space. This article examines how the customs sector has been instrumentalized since the 1960s. It highlights how, during a period of recomposition of European internal security, the sector has repositioned itself since the 1990s between dependence on the police and preservation of its own autonomy. Since 2002, Eurojust has become the primary European judicial body in charge of promoting cooperation between the national jurisdictions of EU Member States. Created in a unique institutional and political context, the principal objective of this body is to institutionalize itself as an indispensable actor in European cooperation, particularly as regards national and supranational bodies. This paper sets out to analyze the logics of actions that have structured the daily work of Eurojust during its quest for legitimacy. By studying the resources mobilized by the members of this judicial body as well as the constraints on their action, it becomes possible to grasp why and how these actors have tended to retranslate their official mission and thereby redefine the role of Eurojust within Europe’s security space. Through studying transfrontier co-operation between local police forces and their attempts to render their legal instruments mutually compatible, this article sets out to grasp how the European Union’s internal frontier zones have become spaces for multi-institutional exchange and comparable bilateral practices. Significantly, the existence of European institutions has not brought about homogenisation or normalization. Instead, the principle of competition between these zones and between the instruments of their respective police forces has in fact caused an autonomization of these areas from traditional forms of inter-police co-operation. This process has transformed and dynamized the administration of internal security in Europe. Matthieu Ansaloni, Ève Fouilleux, Gilles Allaire, Emmanuelle Cheyns – Europeanization, Change, and Continuity in Public Actions in East European Countries: Geographic Information for Foodstuffs in Hungary. This paper deals with changes and continuities in public actions by studying the transfer into Hungarian law of European regulation on geographic information for agricultural products and foodstuffs. It shows that the Europeanization process derived from the diffusion of new ideas (expertise, technical knowledge) as well as learning processes at different levels of administrative and economic organization rather than from political constraints. Nevertheless, domestic institutions inherited from the Hungarian political trajectory limit the impact of the policy transfer. It is common to consider the subsidiarity principle to be a philosophical idea with timeless content. However, an examination of how this term has been used within the European Union’s legal order suggests that this reading should be discarded because it overlooks its plasticity. Analyzing Jacques Delors’s adoption of the subsidiarity principle allows us to re-situate its community context. Delors strove to ensure the inscription of the principle into the Maastricht treaty, and his own political culture ‒ which was characterized by personalism ‒ provided particular resonance to the reinvestment made in this Christian term. However, the subsidiarity promoted by Delors in Brussels quickly became far removed from that of its Catholic origins.